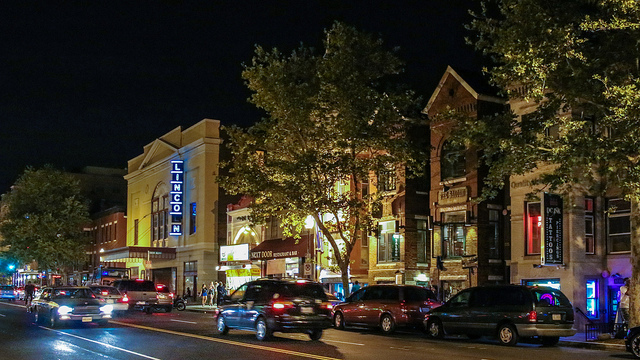 “A group of over 70 local businesses, civic leaders and neighborhood organizations today announced plans for the first-ever Funk Parade in the U Street neighborhood on Saturday, May 3, 2014. The planned event has three parts: a street fair by day, the mighty Funk Parade in the afternoon, and a music festival in the evening. The events will be rich in music and art, and will honor both the neighborhood and the spirit of funk, “the subatomic particle of love,” which brings people together and makes them feel all right. The date, May 3, is the 211th anniversary of the District’s incorporation. “The Funk Parade street fair (noon-5): The neighborhood teems with music and performance, artists and vendors, food and art, workshops and spontaneous acts of soul. The mighty Funk Parade (5-7): The main event! Imagine a gyrating horde of dancers, a marching band behind them, and a drum corps. Hear beat-boxers and junkyard drummers, see pot-bangers and clappers and kids on their parents’ shoulders. Horn players wander in and out of the crowd, neighbors come out of their homes to join the procession. A thunderous syncopated army of groove, winding its way through the neighborhood, calling the city to the funk.